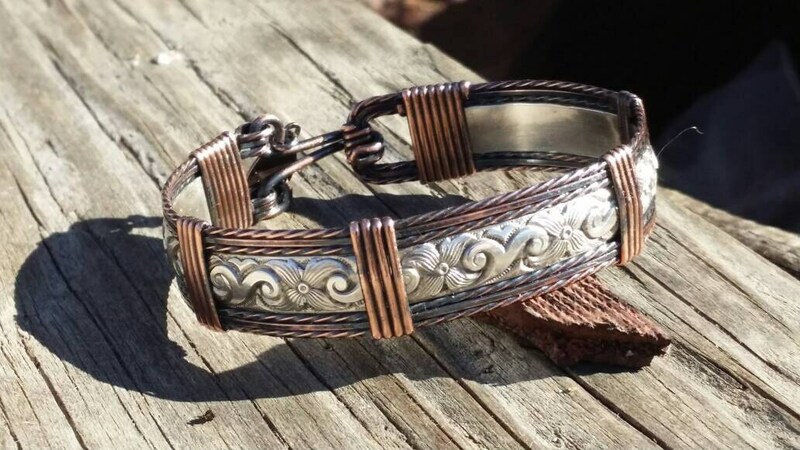 This gorgeous bracelet is made with Sterling Silver and wrapped with copper. After made I've antiqued the entire bracelet to give it the old world feel. Can be worn by a woman or man.